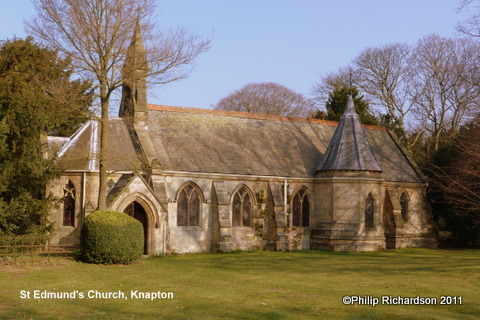 There are few traces of the original Norman building as most of the Church of St Edmund was rebuilt in 1870-72 by John Gibson and Son of Malton. Today we appreciate the painted altarpieces showing the Last Supper. Additionally the ceilings are richly painted and the walls around the font are decorated with water birds standing in water with fish, insects and vegetation. Overhead the sky is filled with butterflies.